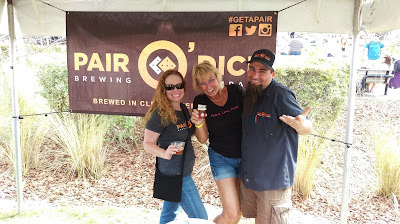 in the new Fest glass.... sweet! 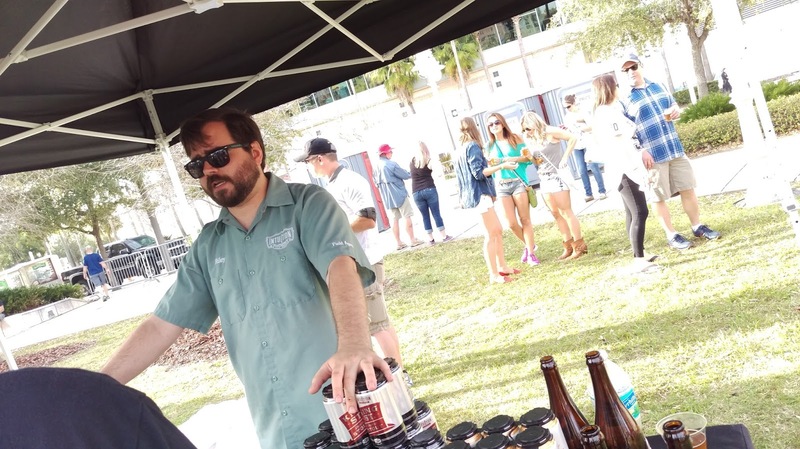 This past Saturday, March 5, over 1500 beer enthusiasts filled the grounds of downtown Tampa's Cotanchobee Fort Brooke Park for the annual Florida Brewers Guild Beer Fest. 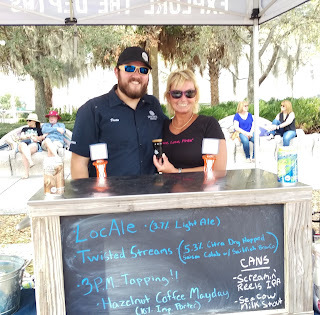 The weather was perfect for roaming around the riverside park, talking to brewers, beer industry folks and beer-lovers, and, of course, for drinking Florida craft beer! 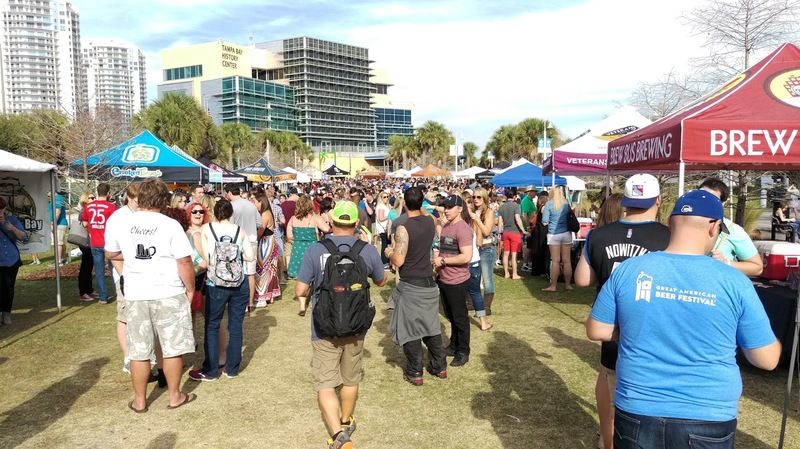 The Fest also kicked off the fifth annual Tampa Bay Beer Week, running this year from March 5-13 all around the Tampa area. I attended the FBG Fest for the first time last year (check it out here). According to Melissa White, FBG Executive Director, attendance was up this year from last. 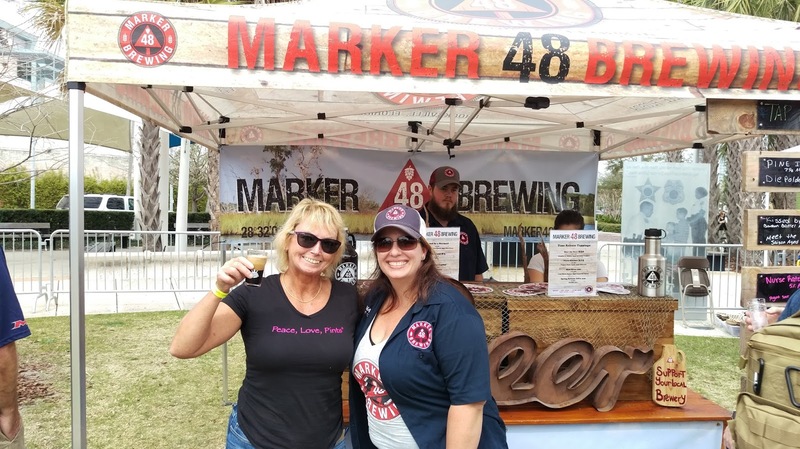 This year's fest featured 58 Florida breweries, which served up over 250 different beers, ciders and meads. 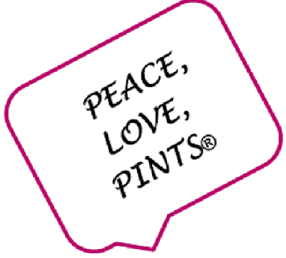 The design of the Fest cup was new this year, sporting a very chic English nonick pint glass style in a souvenir cup. Food trucks were on site to take care of your munchies. Also new for this year was the DJ at the fest entrance. Removing the stage at one end of the fest usually reserved for a live band, White said, allowed additional space to accommodate the brewery booths. 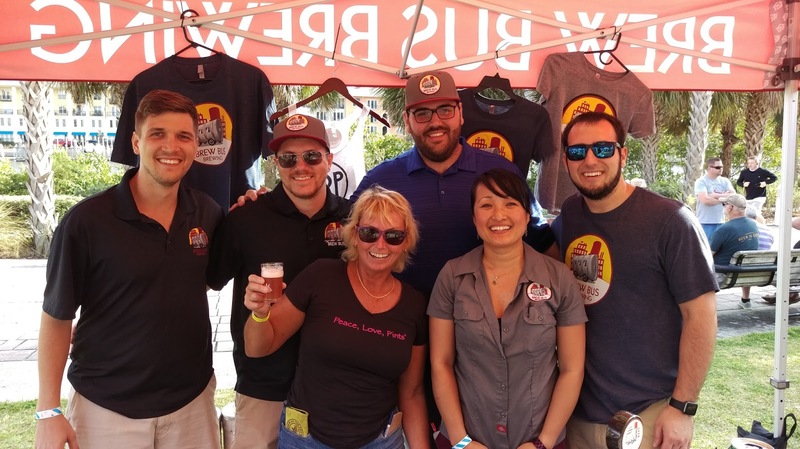 In addition, FBG allowed associate members to purchase booth space and promote/sell their goods/services, and six associate members enjoyed the exposure of this event to do just that: Amazon Hose & Rubber, Bon Beer Voyage, Harbor America, Hopcloth, Tampa Bay Beer Week, and Trinity Graphics. Further, White advised that two event sponsors were added to the mix this year: Commercial Products Corp. and Hacker, Johnson, Smith PA.
After that little bit of chocolate peanut butter ecstasy, I moved along the booths and around the back of the Fest. I don't know if I spent more time drinking beer or talking (it was probably close), because I didn't cover much physical ground in two hours. butterscotch and coconut. Creative blend here that worked. 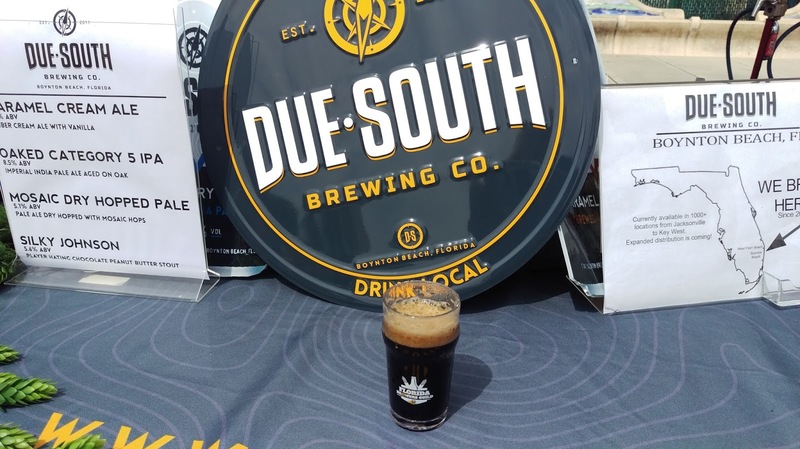 Just enough coconut; chocolate notes, hint of creamy candy. 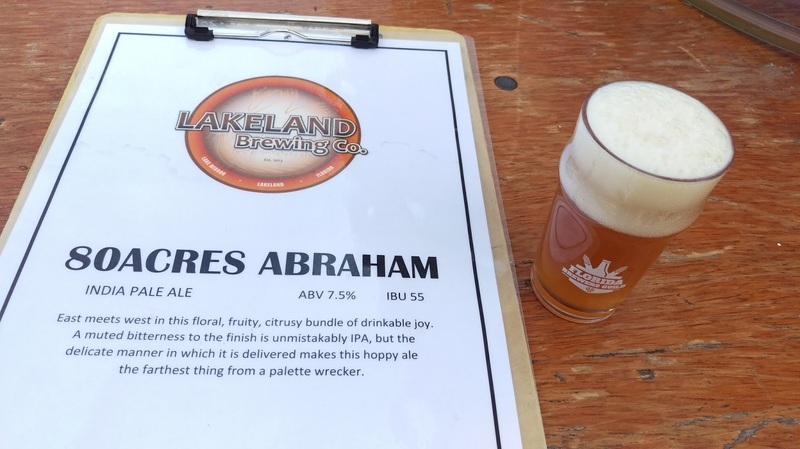 7.5 ABV IPA: floral, fruity, citrusy: very balanced. Not overly hoppy, and a pleasure to drink. Spent some time talking with Asst. Brewer Rob. (see my blog post from last year). You gotta hand it to these breweries for some of these beer names, too. 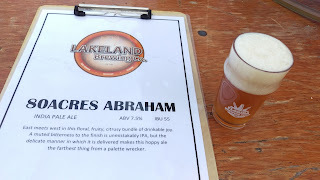 And, I have to give a shout-out to my guys from Brew Bus Brewing in this regard: the "Ring the F#%'n Bell" Blueberry Habanero Wheat Ale (5% ABV) was aptly named, as it was hot...I mean, really hot, baby. Yeah, I had to try it, and it was even a mouthful asking for that one! Got my bell rung by that beer! 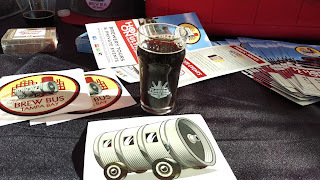 I still had a lot of ground to cover, and although I saw a number of familiar favorite beers, I figured I'd try to focus on more new ones. 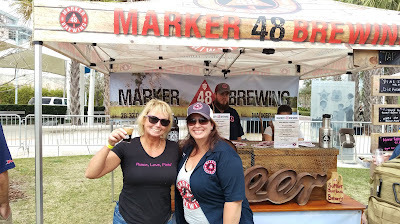 Hey, with around 250 beers, I don't think it was possible to try them all! 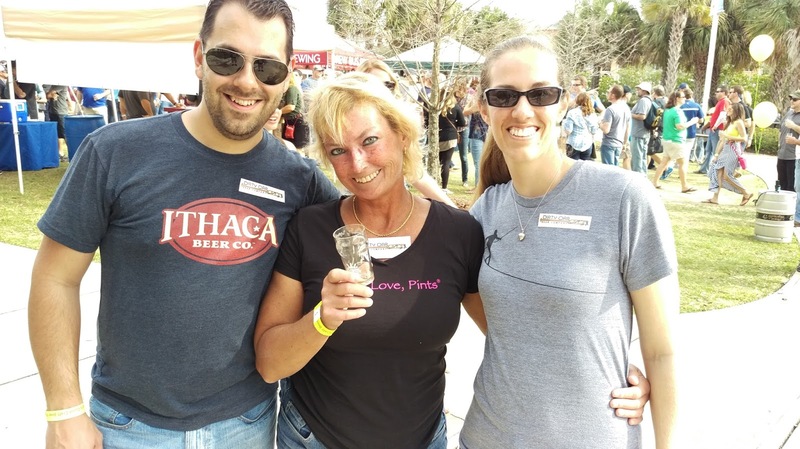 Aren't beerfests great? Hey, it's Riley from Intuition Ale Works! 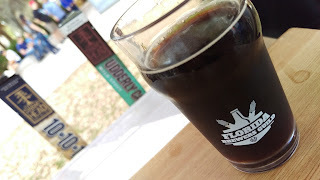 former Black Falcon IPA, one of my favorites. and tropical notes. Ridiculously good. 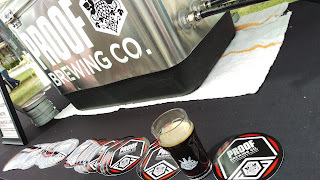 Mayday: Hazelnut Coffee Mayday Imperial Porter. Nutty aroma sent your senses into oblivion. 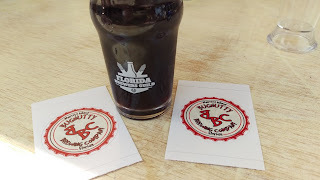 Flavors of hazelnut, coffee, vanilla. Roasty, amazing. Yeah, I kinda liked it (Ya think?). I'll be looking for this one again! A fun crew: Can't wait for Dirty Oar Beer Company in Cocoa Village! There were more beers and more conversations, but you get the idea. Yeah, there are even more breweries on "the list" to visit. Really enjoyed talking with Tim from Ulele Brewpub in Tampa. Also stopped by to see the guys from Waterfront Brewery in Key West, so next time I'm on a scuba vacation there, I'll check them out, too. FBG Fest is a substantial fundraiser for the Florida Brewers Guild, the voice of Florida brewers. The fest will be back at Cotanchobee next year, so watch for the date. And, the FBG will celebrate its 20th anniversary on September 20, 2016.